The Russian Helicopters has delivered technical and operational documentation for the Mi-171A2 helicopter to the Brazilian National Civil Aviation Agency. RIO DE JANEIRO, RJ, BRAZIL, March 23, 2019 /EINPresswire.com/ — The Russian Helicopters holding company, part of State Corporation Rostec, and the Federal Air Transport Agency (Rosaviatsia) have delivered technical and operational documentation for the Mi-171A2 helicopter to the Brazilian National Civil Aviation Agency. 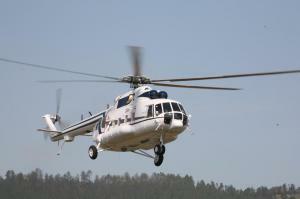 The Mi-171A2 was developed based on this helicopter, the result of a thorough modernization of the Mi-8/17 helicopters. More than 80 changes have been made to the design of the Mi-171A2. The helicopter is equipped with VK-2500PS-03 engines (a civilian version of the engines installed on the Mi-28 combat helicopters) with a digital control system. One of the most important differences between the Mi-171A2 and the helicopters of the Mi-8/17 family is the new carrier system. The helicopter has a more efficient X-shaped tail rotor and a new main rotor with integral composite blades with an improved aerodynamic layout. In August 2017, the helicopter received a Type A certificate from the Russian Federal Air Transport Agency, which indicates implementation of the most stringent safety requirements for civilian helicopters.